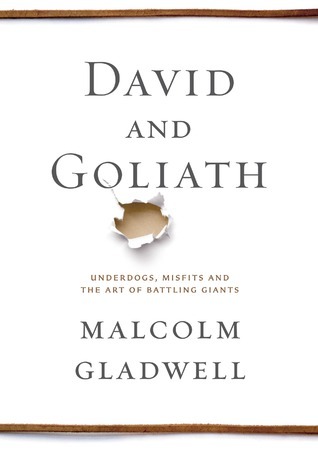 Posted on January 23, 2015 by Melanie B.
David and Goliath: Underdogs, Misfits and the Art of Battling Giants by Malcolm Gladwell was a surprisingly great book! I read it as a bookclub book choice. I would have never chosen to read this book on my own, but really enjoyed it and am glad that I read it. I listened to it on an audio book and the author read the book. He was a great reader and the book was very interesting and informative. I’ve actually found myself quoting from this book from time to time! I plan on reading other books by Malcolm Gladwell and would absolutely recommend reading this one.